Admit it, we’ve all Google-d something like “runny nose greenish mucus” at least once before to find out what’s wrong with our bodies. Some people want to ascertain the seriousness of their ailment before deciding whether or not to visit the doctor; others just prefer to self-diagnose and head straight to the pharmacy to save on the consultation fee. There’s just too many links with the keywords you searched for. Too. Much. Information. To. Digest. There must be an exception. But that day Google said… ok nevermind, as long as you’re fine. As much as we would like to see Google as the keeper of all knowledge, not all of the information you find there are accurate or true. Googling your symptoms will only cause unnecessary stress as it sometimes assumes the worst and you’ll be in doubt over what to do. Always check with a doctor about your symptoms – they’re more reliable and you can have your queries addressed then and there. Why Google your symptoms when you can speak to a specialist anytime, anywhere?  Teleme is a platform which offers video call or chat messenger to users to get online consultation from certified doctors. Message a doctor here to ask about the ailment you’re experiencing, and they’ll reply you as soon as they can! Do You Have Any Health Queries? of smartphone owners use their gadgets to look up about health info. Get Regular Health Tips From Doctors! I underwent Lasik surgery in Malaysia and I was able to attend follow-up consultations because I currently live in New Zealand. However, upon returning to New Zealand, I managed to consult my doctor through TeleMe’s online video consultation platform and it went smoothly. I highly recommend TeleMe’s service to everyone ! Need To Refill Your Prescription Meds/Get Prescription Meds?